As we reach the legal 18 years on air with community radio broadcasting in South Africa. We will be celebrating our Birthday by supporting a number of events for the month of August. Our first event for women’s month is the Cape Town Deep House Movement with Ladida entertainment and Bush Radio 89.5fm. 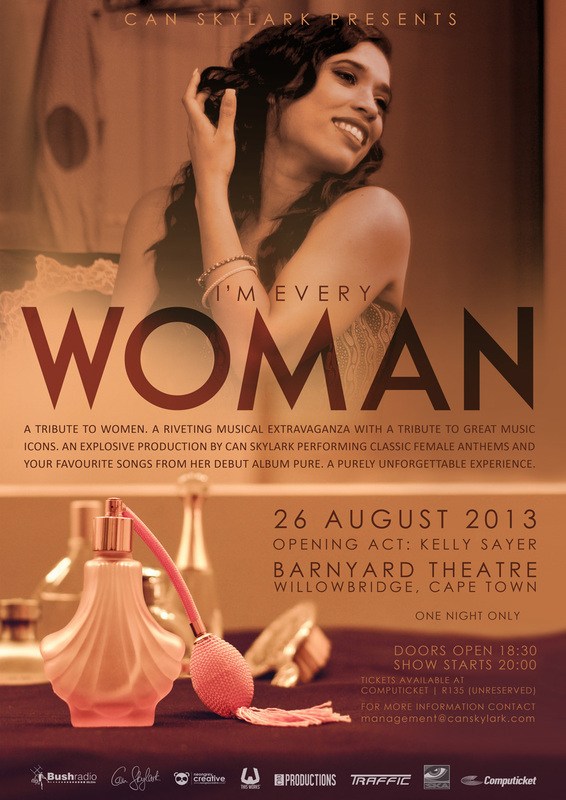 Brings you the women’s month of Tableism on Friday, 2nd August from 6pm. 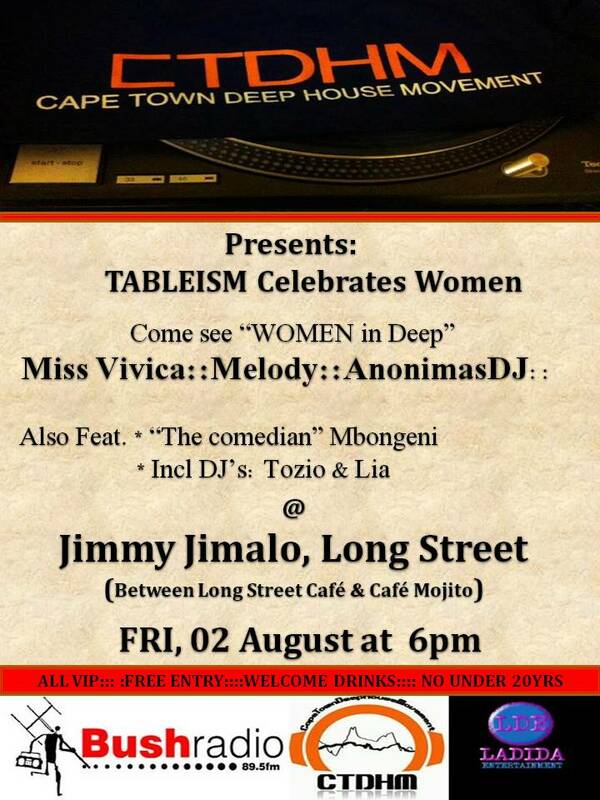 Come join us at Jimmy Jimalo behind Long Street Café and enjoy some deep soulful house music served by our connoisseurs the likes of Ms Vivica, Melody, Anonymous dj and also paving the way for queen’s of deep will be Tozi and Liya. It’s free entry whole night with complimentary drinks and albums on arrival. 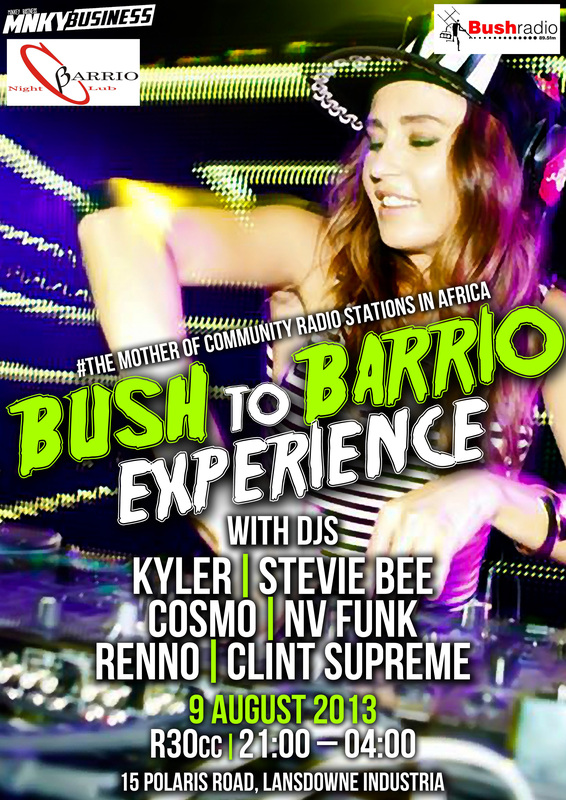 This evening will culminate all the hottest local dj’s from the Bush and Barrio Crews. For one night only this will be a synergy of two worlds that will make you dance the night away.